This park boasts seven athletic fields, walking and biking trails, sand volleyball and more. It also has a large picnic area located nearby its beautiful brightly colored playground. 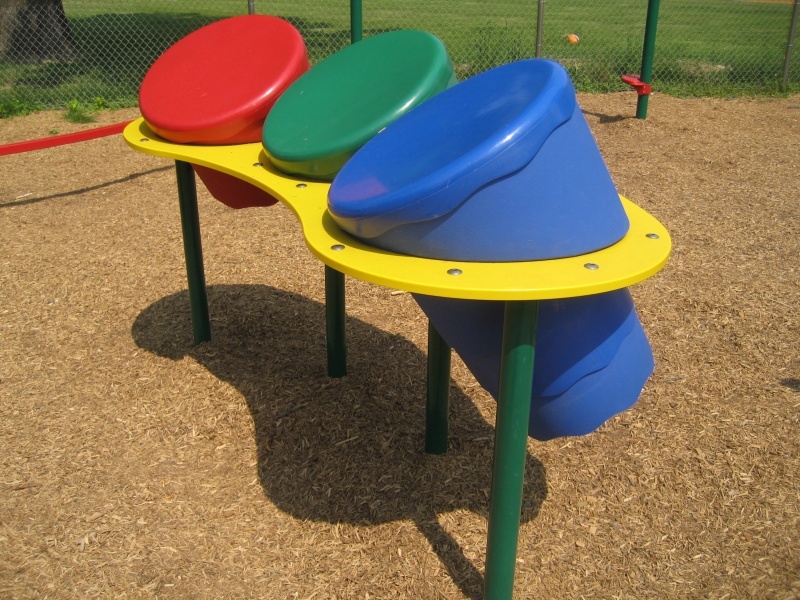 The coolest feature at this playground is its musical center which includes oversized drums and chimes. There’s also great climbing equipment to explore and challenge older children. Steep and twisty slides top it all off. Many town events and games are held at this park so beware that weekends may be crowded. Make a Day of It: To make a daytrip out of it, include a stop at one of the two miniature golf courses nearby, either the Clubhouse Golf Center and Grille or Mount Freedom Golf. You can also stop to see the animals and fresh produce at Sun High Orchards or have a great lunch or dinner at the Black River Barn. For more detail on Freedom Park see the complete write-up on www.njplaygrounds.com.